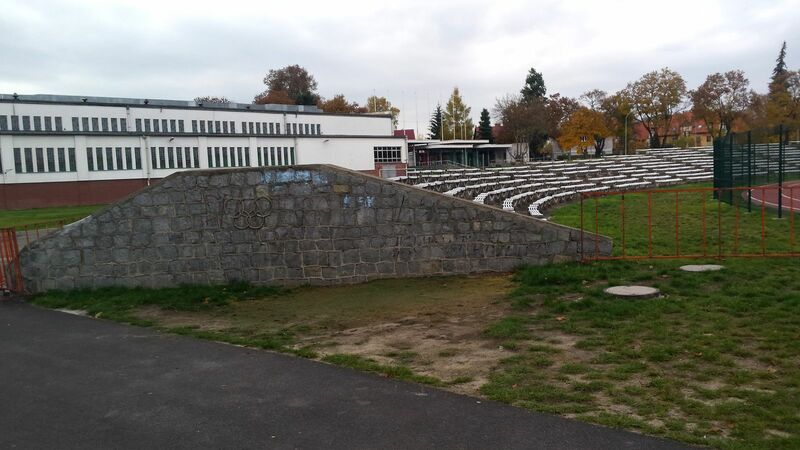 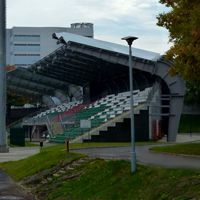 The municipal stadium in Jelenia Góra was built on very slightly inclined land embankments, providing a very poor matchday experience, especially with fans having running track in the way, making stands very distant from the pitch. 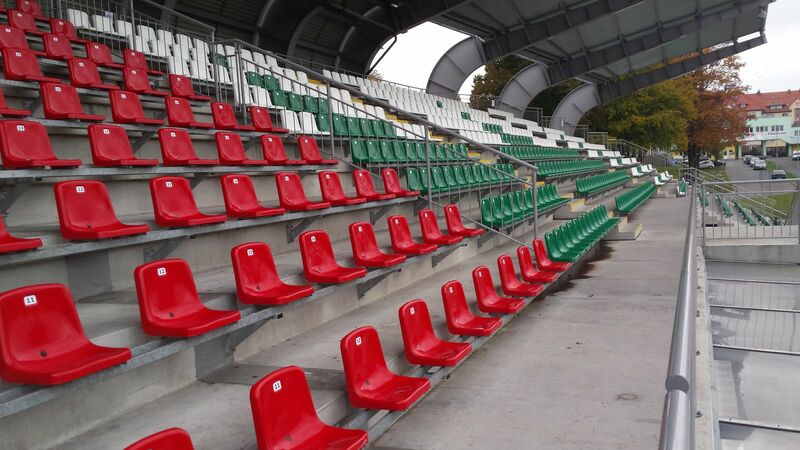 In 2011 the main stand’s reconstruction began to change these conditions. 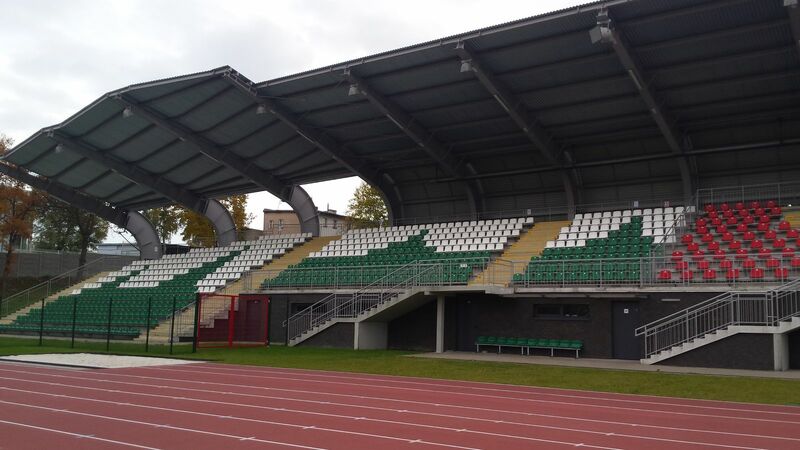 As a result a new covered structure with 1,558 seats was created, improving the sightlines greatly. 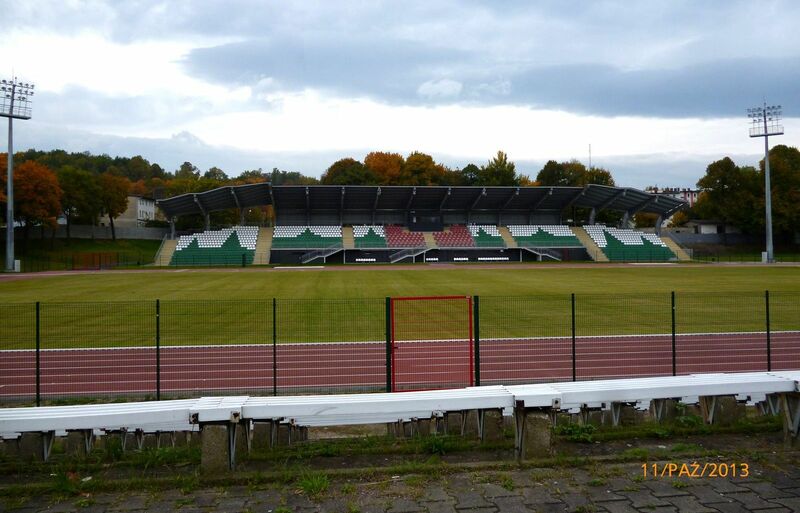 Though this was only the first phase of planned redevelopment, works had an enormous delay of 15 months, forcing Jelenia Góra to withdraw their application to be a training centre during Euro 2012 in Poland (the city is near Wrocław). 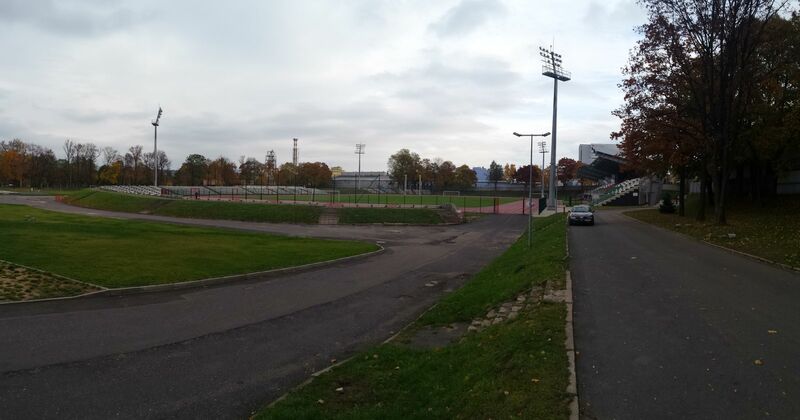 The ground is surrounded by related sports and other use buildings, most notably an indoor sports hall, small hotel and conference centre. 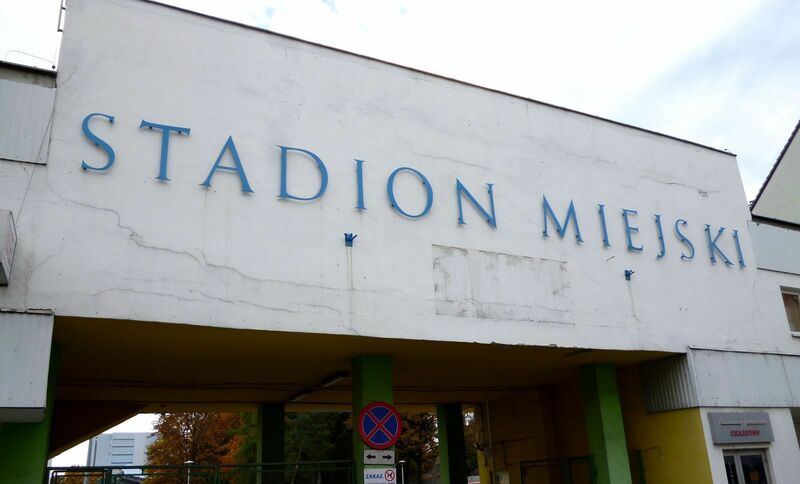 We’re continuing our Polish updates thanks to Sebastian Spychała, who’s driving across the country and delivering fresh material. 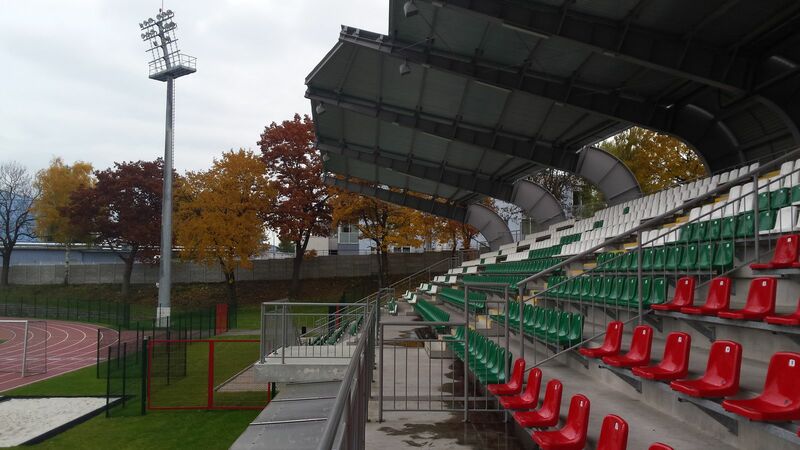 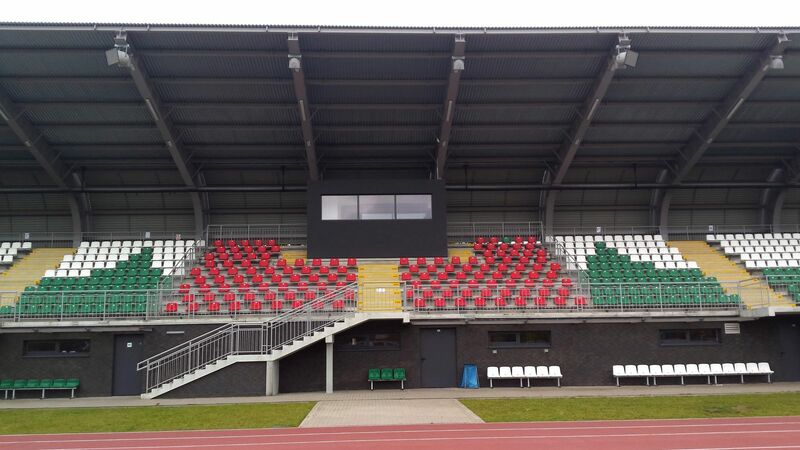 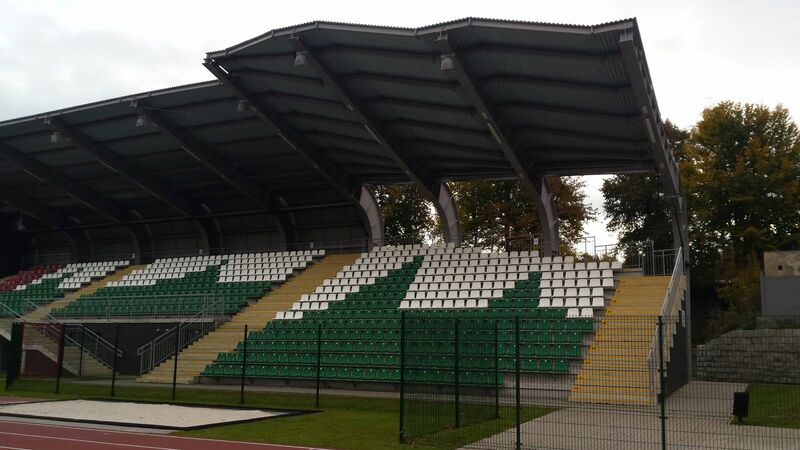 This time it’s freshly modernized stadium in Jelenia Góra and quite the opposite – old but charming ground in Legnica.